It's these types of moments where you let everything else pass you by and remember what matters. Visually, this black and white photograph represents that. 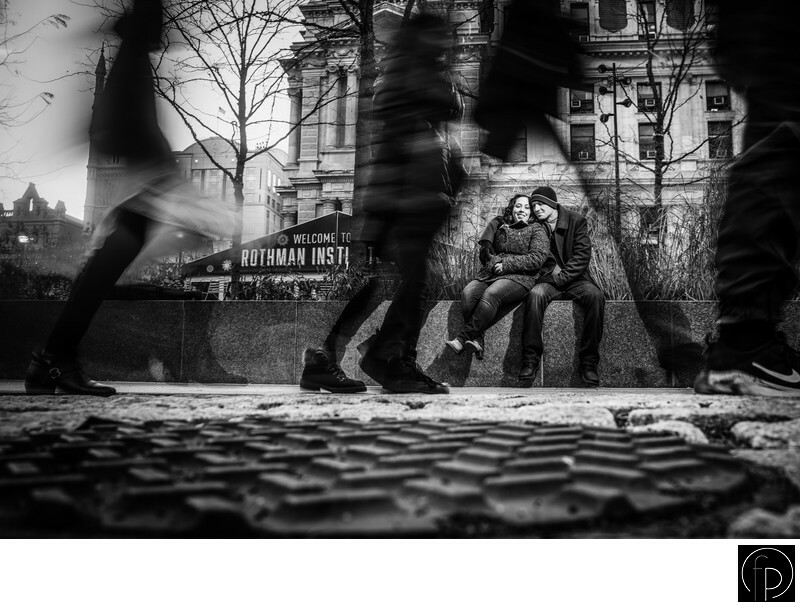 A small moment between this couple captured during the hustle and bustle of city life in Philadelphia, Pa.
We captured this at City Hall, where it's always busy. Location: 1401 John F Kennedy Blvd, Philadelphia, PA 19102.